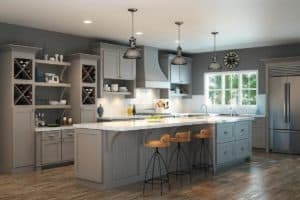 Homeowners and contractors in Houston and surrounding cities have trusted us with the design and installation of pre-built and custom cabinet solutions for more than 22 years. If you can imagine it, Houston Cabinets can design and build it. As a retail and wholesale supplier / cabinet dealer, we offer a high-quality selection of cabinets from the most respected brands in the country. We also design custom cabinets. All of our cabinets and cabinetry products are Made in the USA. We also offer full kitchen remodeling and bathroom remodeling services. 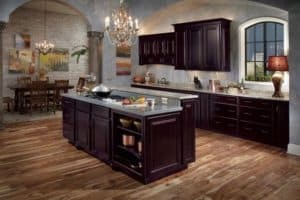 The Houston Cabinets team prides ourselves on meeting tight deadlines while delivering the highest quality products and installation services. Take advantage of our cabinet and installation specials! Next Previous Read what our customers are saying! We recently chose Houston Remodeling to update/remodel our Master Bathroom for three main reasons: Size of company, Attention to detail and Personality. Our home is 30+ plus years old so it was important for us to find the right blend of old and new ideas to achieve the look that we wanted. We got several bids from recommendations since it was such a big job - but we immediately knew Tim was the right one. We could immediately tell that this was a man who took great pride in his work. He took us to see a live example of his work, and this just confirmed our initial impression. Throughout the whole process Tim was knowledgeable, patient and worked with us to find the best solution for our needs. Tim, at Houston Remodeling has been a fantastic partner in our multi-staged whole home remodeling project. We met Tim when we first moved to Houston to look for a house (expecting to remodel). He was fantastically helpful as he went with us to homes we were considering to assess the integrity of the overall structure, extent of remodel required and general thoughts about what could and should be done to achieve our goals.